For years, one my kids' favorite places to visit in San Francisco was also one of the most difficult to pronounce. Was it Zee-yum? Was it Zoom? Whatever it was, we won't be having that problem anymore, because the museum formerly known as Zeum has changed it's name to the Children's Creativity Museum. And that's not all that's new: after a five week remodel, the museum also has a new look, new exhibits, new, expanded hours and a new emphasis that includes younger children ages 3 to 5. Last week the museum invited a group of bloggers to celebrate the reopening, and we were lucky enough to be included. A party at Zeum -- sorry, the Children's' Creativity Museum -- is one of the few things that could persuade 3Po and Jammy to skip their soccer practice, so we made the trip to San Francisco to see all the new features and attractions. 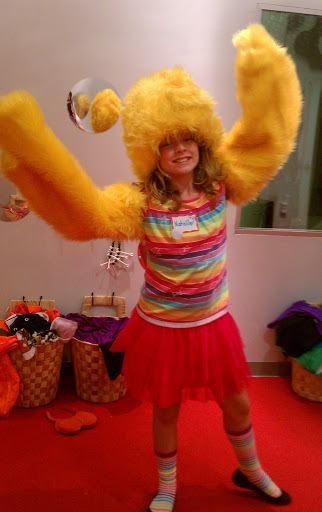 The museum has kept all the things that made it great -- namely, that unique focus on creativity and technology -- and added some new features that kids of all ages are really going to love, like the new Imagination Lab on the ground floor. 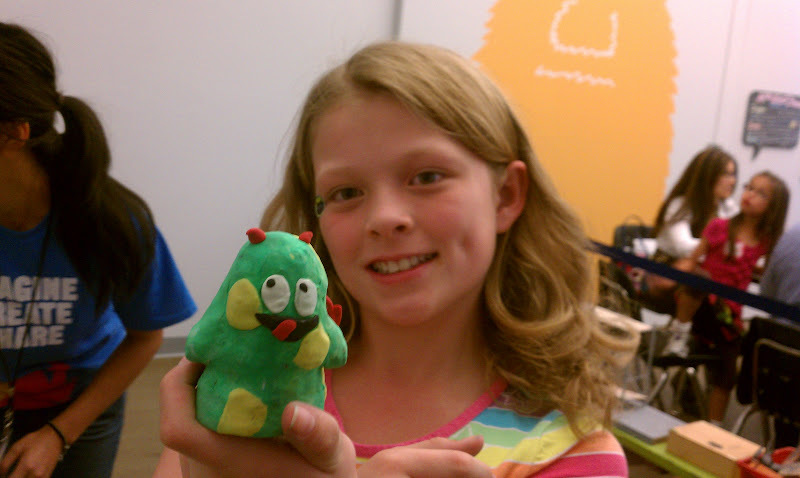 The Imagination Lab is a great place for young kids to sculpting station, where children can mold dough into rice bowls, tacos, and other foods. If some of that clay gets into their mouths, it's okay -- the dough is soy based. There's also a dramatic play area with a puppet theater, costumes, and plenty of mirrors. Beside that is a recording booth where kids can film their own plays, interviews or mini-movies. The smallest kids will love the soft play area, which has lots of ramps and tunnels and soft blocks and tubes. It's bright and cheerful and airy, with plenty of space for little ones to roam (and plenty of space for parents to step back and watch). It's just the kind of place that parents will want to take their toddlers on a weekday morning; the older kids will be at school so the young'uns will get the museum to themselves. 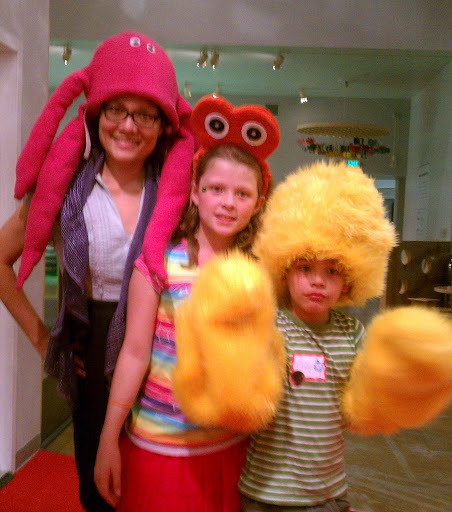 Besides its new name, the museum now has a bunch of mascots -- the Creativity Critters. They are colorful monsterlike creatures that represent the diversity, inspiration, and innovation of the Children’s Creativity Museum. You'll find each of them hanging around their favorite museum areas. Zump, the big yellow creature, loves playing with clay, and can be found in the Animation Studio. Rockto the octopus loves rocking out to the latest tunes in the Music Production Lab, and so on. 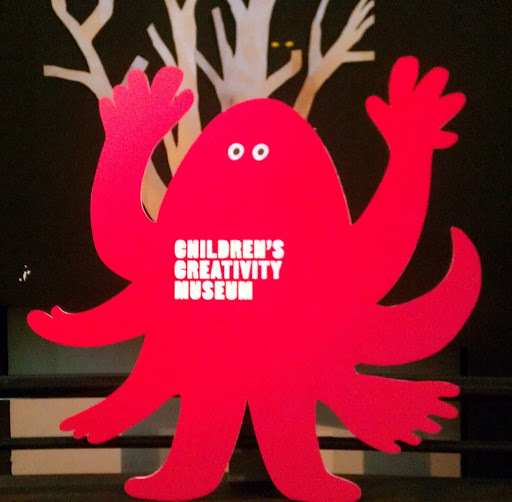 I think kids will love the Creativity Critters, and it's only a matter of time before they begin clamoring for a stuffed Rockto or Kromas or Blooper from the Museum Gift Shop. Cool, huh? 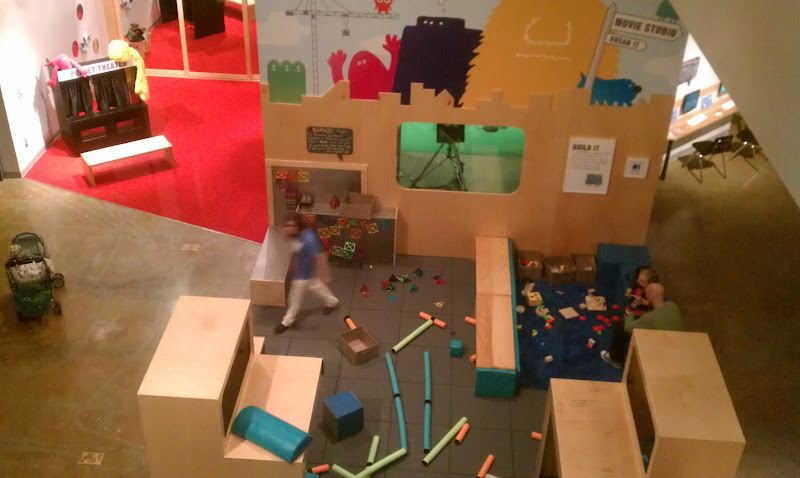 I'm already looking forward to our next visit to the Children's Creativity Museum; it's really a lot of fun, it teaches kids about technology and unleashes their imagination at the same time. Disclosure: My family and I were guests of the Children's Creativity Museum at their reopening party, and I received a free pass to visit the Museum at a future date. The views and opinions expressed here are my own. Have a Very Hexbug Halloween!